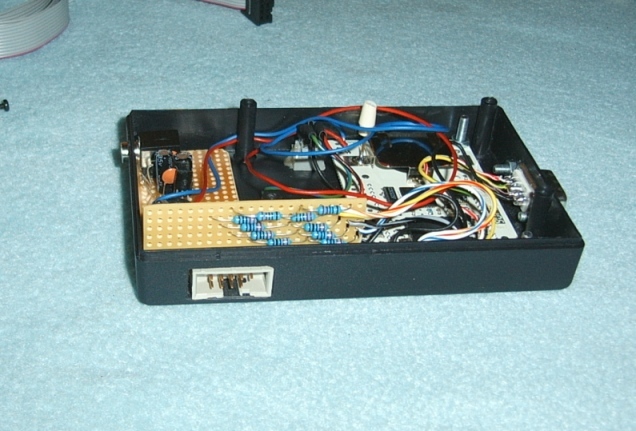 ButtLoad is one of my major finished AVR projects. 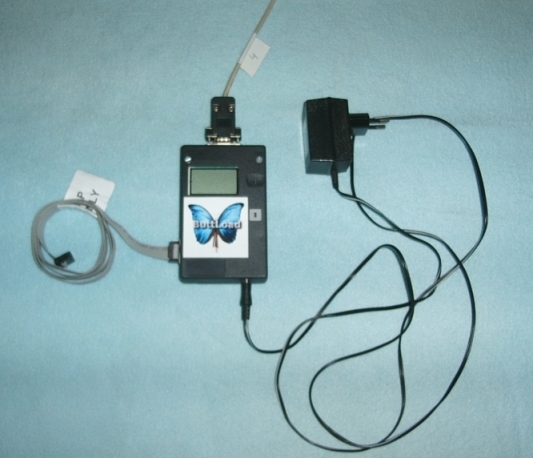 Based on the Atmel Butterfly development board, ButtLoad is specially written firmware which converts a low-cost official Atmel Butterfly evaluation board into a smart ISP programmer for other members of the Atmel AVR family. 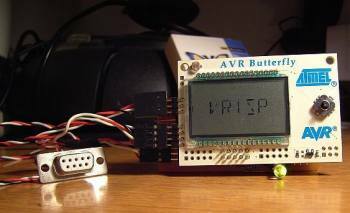 Compatible with AVRStudio and the entire ISP-enabled AVR family, ButtLoad (written in the C language) is similar in operation and function to the Atmel AVRISP. 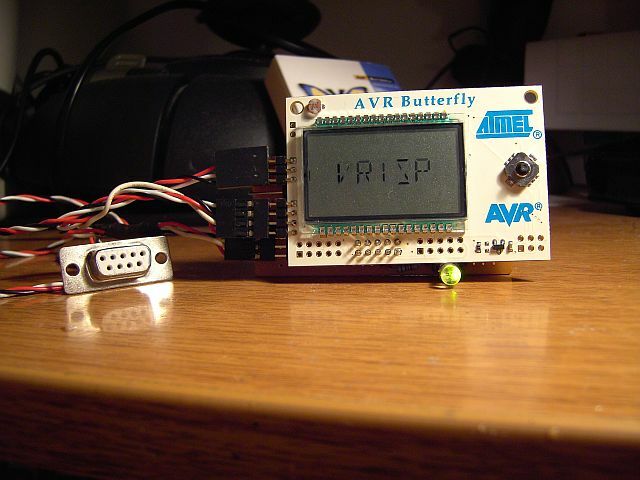 Unlike the original AVRISP however, ButtLoad offers the unique ability to store a complete program - including flash, EEPROM, fuse and lock byte data - into its onboard non-volatile memory for later programming without the necessity of a computer. 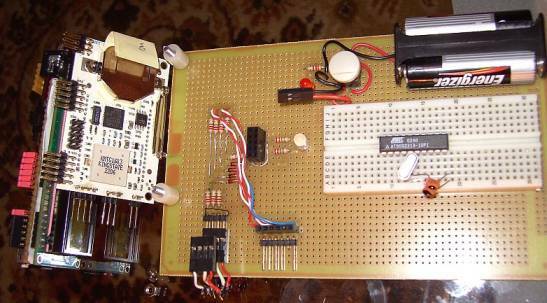 In its simplest form (3V targets only), ButtLoad can be constructed with nothing more than the stock Butterfly board; no existing programmers or hardware modifications are needed. 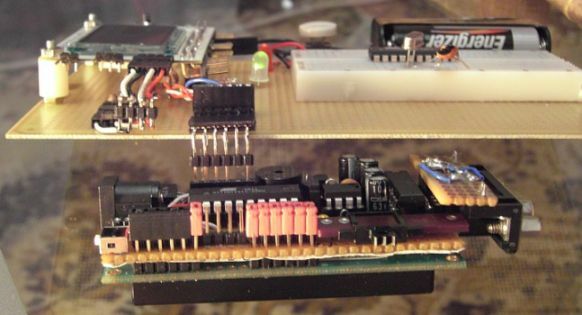 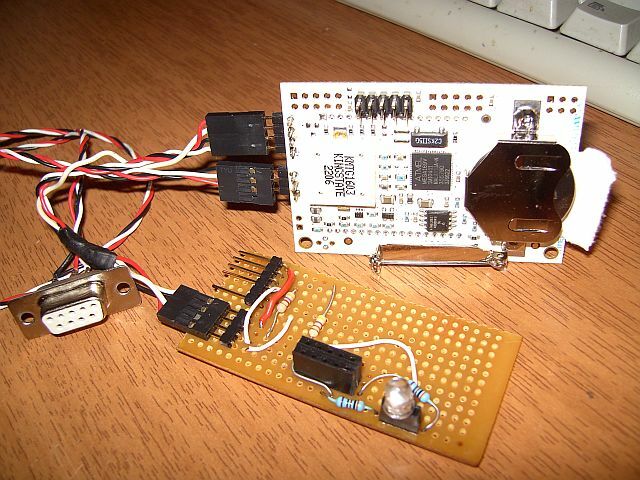 ButtLoad can be expanded easily for USB connectivity (thanks to Nard Awater's work) and/or 5V target programming with minimal extra circuitry. 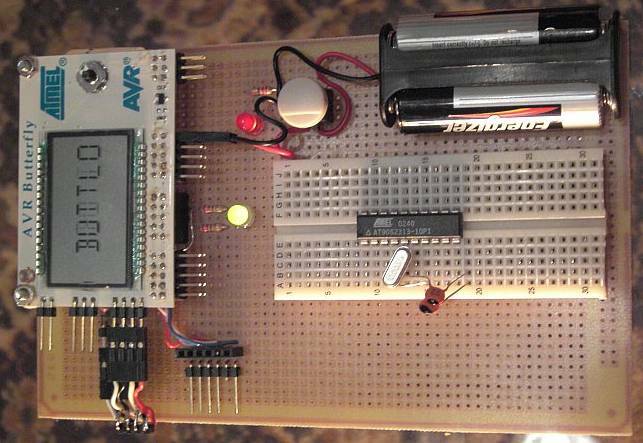 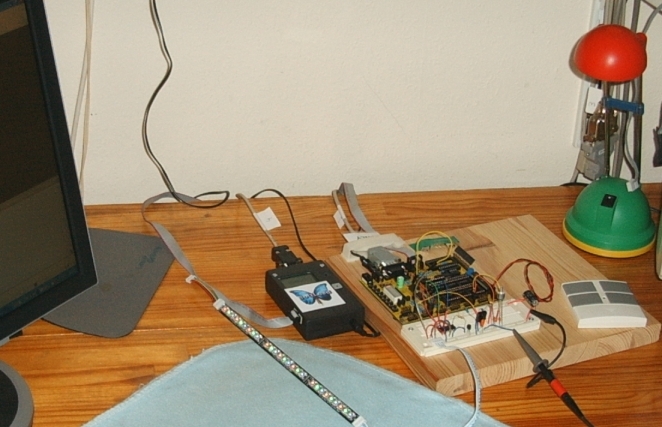 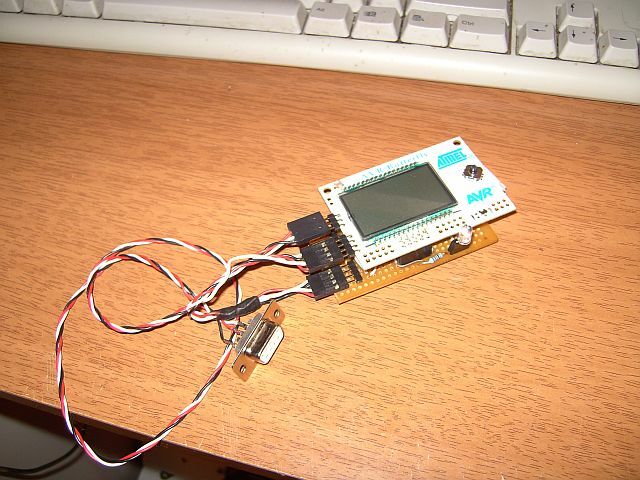 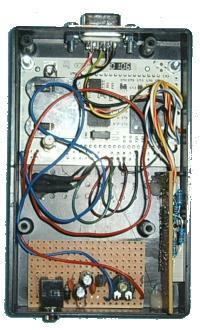 User contributed images of their home-made ButtLoad programmers.